Should calling 911 on Black people for silly reasons be considered a hate crime? A New York state senator is proposing a law that would make calling police on innocent Black people a hate crime. 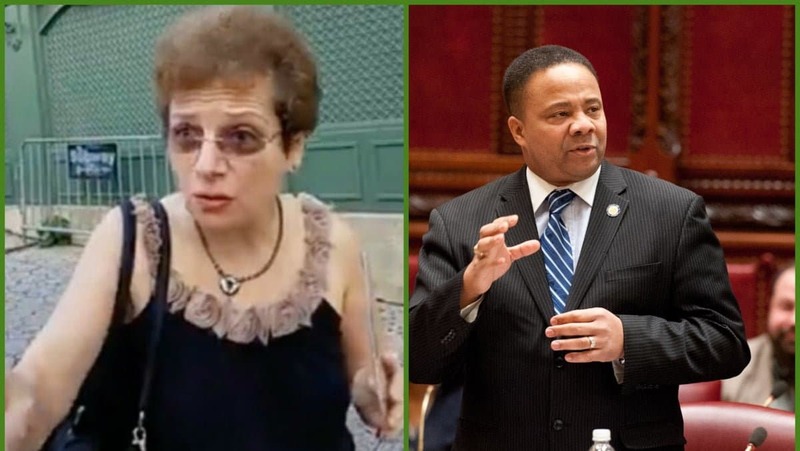 After a Donald Trump supporter called police on him while he was canvassing constituents, Democratic State Sen. Jesse Hamilton, who is Black, wants to make unnecessary police calls against Black people a hate crime to deter folks from taking part in what seems to be a disturbing new trend. Last week, Hamilton was approached by a self proclaimed Trump fan who called authorities after she realized he was handing out campaign literature that was critical of the President’s behavior. “Waiting for your friends at a Starbucks is not a 911 call — it’s a call of intimidation,” the state senator said, referencing the now infamous Starbucks instance in Philadelphia that inspired the #BoycottStarbucks hashtag. If his proposal was successfully passed, the responsibility of discerning whether a call was legitimate or made with the intention of harassing or intimidating people of color, would be on the police. Powell also echoed the concerns of other critics who questioned the practicalities of tracking down and then investigating contentious calls. For example, in 2014 a Williamsburg landlord who made 400 false reports against tenants in his building was only arrested when a cop recognized his voice at a local community meeting. Without that chance encounter, the man would have likely never been otherwise tracked down. But Hamilton isn’t deterred by that feedback and countered that thanks to advancements in technology, officials could easily locate 911 callers through tracking devices and interview witnesses to corroborate victim’s stories. “The facts will lay out for themselves,” he said. Stop.👏🏽 Calling.👏🏽 The. 👏🏽 Police. 👏🏽 On. 👏🏽 Black. 👏🏽 People!